All Alto homes currently listed for sale in Alto as of 04/25/2019 are shown below. You can change the search criteria at any time by pressing the 'Change Search' button below. If you have any questions or you would like more information about any Alto homes for sale or other Alto real estate, please contact us and one of our knowledgeable Alto REALTORS® would be pleased to assist you. "East Texas treasure! 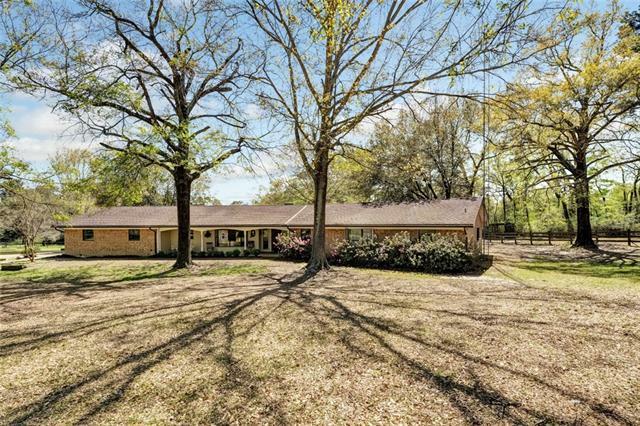 Lots of warmth and charm in this home on 5 ac. Large kitchen with breakfast bar and tons of cabinets, new glass cook top range, new dishwasher, built-in microwave, and room for entertaining too. Breakfast area is large with window that overlooks the beautiful front yard. Huge family room with vaulted ceiling. Fireplace has heater to keep you warm in the winter. Cute barn and outbuildings for storing your toys, for your she-shed, to house your lawn equipment or feed, and plen"